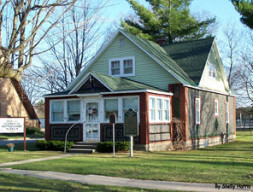 Built in the mid-1900s out of more than 60,000 soft drink bottles from a local bottling factory, this museum is on the National Historic Register. Open summer Saturdays, 12 p.m. to 4 p.m. Kaleva. www.kalevami.com.